Asia's leading music streaming service, KKBOXpartners with ACRCloud to launch a brand new “music recognition” feature, wheremusic searching in KKBOX app can be easily done by singing or humming to aparticular song. This new feature allows users to search and download musicfrom KKBOX extensive music library just by singing a song, humming a tune orputting a smartphone close to the source of music. When users hear a good songbut uncertain about the title, they can just turn on “music recognition”feature on KKBOX app and place it close to the source of music. Alternatively,users can also sing or hum parts of the song and let the “music recognition”feature work its way out. More details. Multi-talented heartthrob Bii has personally attempted this featureby singing his own hit “Love More” as well as “Falling”, a song from his favoritesinger, Tanya Chua and the “music recognition” feature successfully identifiedthe title of the song just within a few seconds. Bii, who recently completed his solo concert“Bii With You LIVE In Singapore 2017” organized by KKBOX, is now gearing up on preparationof new album, which is set to release this summer as well as his first everconcert in the prestigious Taipei Arena this December. KKBOX and ACRCloud come together to introduce this digitalfingerprinting technology where searching of music can be easily done in KKBOXapp by giving a little clue like singing a song, humming a tune, or putting asmartphone close to the source of music. 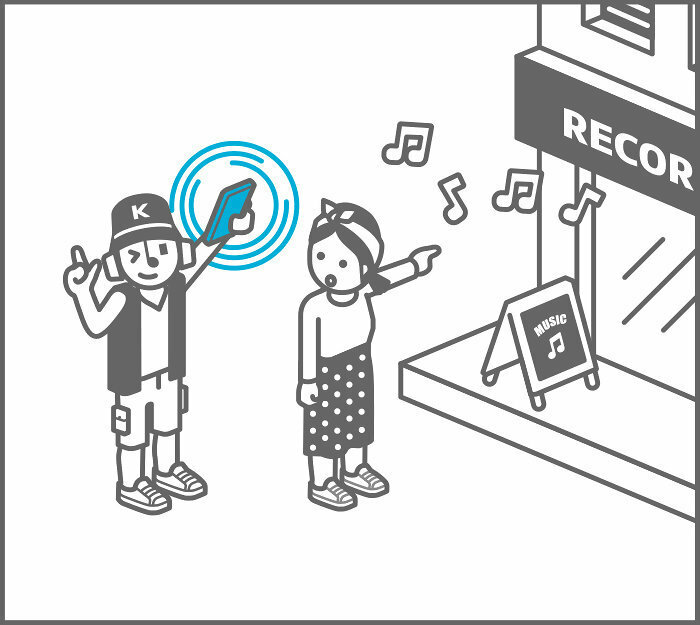 “We are very excited to partner withKKBOX to offer music and humming recognition feature to larger audiences inAsia, this feature brings a whole new experience for users to consume music.” -Tony Li, Co-Founder of ACRCloud. In addition to partnering with ACRCloud, KKBOX has also optimizedthe post-function of “Music Recognition“ feature, where users can convenientlyreview the artist or album once the intended song is being identified.Moreover, users can directly share the search result through social media aswell as save or collect the song for offline listening pleasure. “KKBOXcontinues enhancing user experience to fulfill user’s needs in various context.With music and humming recognition feature, you can identify a song morequickly and intuitively, and then you can collect or share the song easily.”Sophia Lin, Vice President of KKBOX Product Develop Center. KKBOX,Asia's leading music streaming service, was established in 2004 by a group ofTaiwanese software programmers with a shared passion for technology and music.With the support from more than 500 international major and local independentmusic labels, KKBOX features 30 million legal tracks, including the mostcomprehensive Asia-Pop music library, and is currently available in Taiwan,Hong Kong, Japan, Singapore, Malaysia and Thailand with over 10 million usersand 2 million paid users. KKBOX is committed to creating a truly immersiveonline music experience to users, and to empower artists and their musicthrough technological innovation. With its advanced product technology,strategic vision and strong local partnerships, KKBOX is aggressively expandinginto international markets. For more information, please visit http://www.kkbox.com/about/en. ACRCloud (https://www.acrcloud.com/) is a Beijing basedcomprehensive automatic content recognition provider that has indexed over 40million tracks in its music fingerprinting database. For 2015 and 2016, it was ranked #1 in audiofingerprinting technology, which was recognized by the prestigious MusicInformation Retrieval Evaluation eXchange (MIREX). ACRCloud offers musicrecognition solution to Xiaomi and Musixmatch etc.